Here we look at some of the Endurance Tech happenings in 2019. I’ll look at product types and features and dwell just a little bit on specific models. Later, I might gaze further into my crystal watch screen to look at where I think the Endurance Tech market will be heading, although I suspect that the answer to that last point is not going to be as tech-interesting as in previous years. These are not predictions for 2019 as such. Taking a step back for a minute and looking at things from a user perspective, the finger is just the most awesome place for a tracker. It’s WAY more convenient for most people to wear a ring 24×7 than a wrist watch or wristband. With the miniaturization of tech and parallel reductions in the same tech’s battery needs, we can see that even a small ring can potentially pack a lot of excitement into a very small space. A ring is unlikely to be as accurate as a sports watch BUT can readily complement a sports watch. And I would love a ring that can make contactless payments. So, whilst there is clearly a developing trend of some movement away from a smartphone towards a smartwatch that can do similar things, I think we will also start to better notice a small but increasingly noticeable move away from wrist-based activity trackers to ones on the finger. I would imagine that I’m not the first person to realise this!. There could soon be offering from Apple (nah), Fitbit or Garmin. Each coming at such a product from subtly different angles. Failing those imagined products, there will definitely be more Kickstarters doomed to whatever Kickstarters normally become. Other than the more general ‘medical’ sphere, this product type has the potential to be the next big thing in fitness/sport, giving the ability to measure 24×7 rest, activity and recovery. My favourite topic. Sorry, 🙂 Don’t bite me, it keeps me happy. Power Zones summary from a workout. I’ve done harder sessions 😉 And had my zones right too. This particular product trend will run and run (ha ha). Running with power IS here to stay. The relevant ANT+ standards should emerge in 2019 which will help everyone from app developers to potential new entrants eg the likes of COROS are looking to support ANT+ running power and it must be easier if a standard exists. Even though Polar and Suunto are dealing with BLE output from RunScribe Plus and STRYD, the standardisation of the data coming from the ANT+ side of those devices will probably directly impact on BLE as well by ensuring the same data types are transmitted even if they might be tagged differently. Unfortunately, what we are unlikely to see is any kind of agreement on what the correct number of watts are for a runner at any given time. Put differently, all the vendors will continue to produce incomparable results. The drag merchants should have a good year in 2019 with our biking CdA profiles helping to make us all slip through the air just that little bit better. CdA is a necessarily small market and probably a subset of the power meter market. I’m not sure it can support 8 or more companies. What do you think? I’m pretty sure we are going to see some more properly sporty watches brave the heady new world of this ever-improving Android-based watch platform. The main inhibitor of growth here seems to be the underlying hardware (not software) that is shared by all the watch makers ie it is not as powerful as everyone would like. Having said that, I am yet to try out any of the new SnapDragon-based devices. My understanding is that all WearOS devices will be based on this platform. Polar already dipped their toes into the murky waters of WearOS (aka Android Wear) a couple of years ago. I don’t know how commercially successful the Polar M600 was, but I imagine it did at least ‘alright’. It’s a nice product. Will Polar produce a sequel? I’ve speculated positively that Garmin will enter this market. Will they? errr go figure. There is also likely to be another ‘known’ sports entity dipping their toes just like Polar did. The biggest trend in town is towards medical grade devices. I’m not especially interested in that. But it has been obvious to me that, for example, the Excel Wearables show in London has quickly gone from “emerging sports tech” to “emerging medical-like tech” in only a few years. Essentially the VCs are moving their cash elsewhere. And ‘elsewhere’ is the medical realm. But let’s not get too despondent. This could still mean a fabled HYDRATION sensor for us. Or a Blood Glucose sensor or a Blood Pressure sensor all in a WEARABLE format and working over ANT+. One day. Maybe. Perhaps. No doubt Suunto will release the 9.5, 9.4 and 9.3 triathlon models that look as similar as Garmin’s product range looks confusing. We’ve seen Polar’s throw of the dice with the Vantage and I reckon we will all begrudgingly in some quarters start to recognise Vantage and Suunto 9 as pretty cool products. Garmin needs to update the 935, maybe also techify it and they need to replace the 735XT. There’s even space for an ‘entry-level’ Garmin tri product. We’ve seen Garmin can do (pseudo-) entry-level products with the INSTINCT in the outdoors market. (Hint there won’t be a 935 Plus, nor a 945 nor a 745XT…Garmin will introduce 2 or 3 rebranded tri-specific products. I reckon – edit: NO that’s WRONG, this rebranded watch was in fact the Garmin MARQ). Other than that it will be more challenger Asian brands that get better and better with each new model that appears. There’s a lot of runners and a lot of them use some form of electronic device. The basics are well-known about what is required from a running watch and the workouts + plan that you might use with it. “Same old, Same old” is probably not going to win too many prizes unless it’s Cheapy McCheapFace – so innovation is the key for new products to do well. Unfortunately, Garmin has already staked its rather large and pointy stake in nearly all of those areas where innovation can happen ie Garmin’s higher-end running watches already have smart functionalities like IoT and contactless payment; music delivery from disparate sources; adaptive training plans and structured, immersive workouts; social sharing and social competition. Mid to Low end outdoors market – Casio must have thought they had it made for several years. Oh dear…Garmin Instinct spoiled that particular party. Instinct is a cut-down Fenix. Let’s see if the 3-day battery life of the PRO TREK Smart WSD-F30 (2019) is enough. Endurance Runners – Probably you guys want super long battery lives. But will clever GPS functionality like Suunto’s FusedTrack and COROS’s UltraMAX suit your needs? Maybe you want a quality, rugged device eg Suunto, or a super-featured one from Garmin? Or maybe one that’s targeting accuracy eg Polar. Those are the obvious angles to tackle the endurance runner market but what about a more dressy endurance watch? or an endurance watch for smaller wrists?…COROS are trying that angle and at lower price points than the incumbents. The runners’ running watch – Surprisingly there is still a space for that ‘obvious product’. A running watch that is just awesome for running with…and nothing else. Bizarre…although Polar Vantage could be argued to be trying to do that. It’s a big and maturing market with the potential for further growth despite the relatively high number of competitors. The barriers to entry are high from technical perspectives as well as from a distribution perspective. If that is true, then the current players will have one big bad MMA battle in the power-Octagon at some point or other over the next few years eg a dip in demand for cycle parts could see aggressive price competition…or not. We’ve seen November 2018’s permanent price cut by Favero. Why? My take would be that this is a move from a position of strength aimed, ultimately, at trying to put pressure on their competitors whilst still in a position of financial security themselves. Perhaps they are trying to stop SRM in their tracks or make things hard for PowerTap. Are they playing the long game? or playing the short game by reacting to what someone else does. Competition here will also be less visible and more subtle with the winners being the ones who get OEM status or who nail distribution, be that through retail outlets, online intermediaries or through direct web channels. There could even be an argument that over a timeframe of several years a crank-based solution could push a pedal-based solution out of the market. It’s gotta be easier to stick a little sensor onto a crank than develop a whole pedal, right? Hence the scope for cost-cutting and price competition led by crank-based solutions could eventually make them so cheap that we could all afford one for each bike. I don’t fully buy that argument, but there is a point there for the future but not in 2019. You can be relatively sure that a prediction of an Apple Watch 5 probably running WatchOS 6 will come true in September 2019. But it looks like the current AW4 may have taken a big chunk out of the perennial GPS and oHR problems (I refer you to DCR’s findings there). If Apple gets those two hardware areas exactly right, would you run with an AW5 using STRYD if you were a runner who runs by power? Maybe I wouldn’t but I ‘d be very tempted, especially with the slightly larger watch face on the AW5. So what we will start to become more acutely aware of is the convergence of the ‘proper’ sports watch and the super-smart activity watch. With the Apple Watch we are seeing the smart watch get sportier. That general trend with similar products has been happening for a while and will likely intensify. By definition, this is happening at the high-end of the market (Apple prices) and the likes of Garmin might suffer ultimately, especially as the lower end faces a potential influx of cheaper and sometimes highly competent Asian Challenger brands. #PerfectStorm. Music, maps and money have made their way into Garmin’s higher-end offering on their sports watches. It looks like they are carving out a high-end niche of their own. Sports Watches clearly are getting smarter and to be worn 24×7 they need to get prettier. Again, as above, this is a move to a WearOS-like device BUT with a decent battery and decent sensors. It would be nice to see how Wahoo could improve the ELMENT. You can be sure they are actively trying to (I don’t know if they are). Failing that, who is going to beat the mighty Garmin? Sigma? Lezyne? Hammerhead? Polar?… I doubt it. There ARE and HAVE BEEN many $150-$200 cycling head units that are highly competent and feature-full and NOT from Garmin. eg Lezyne…even Polar too. But they don’t seem to be selling in sufficient numbers to dent Garmin’s growth too much. Perhaps a focused company like Hammerhead with the Karoo can start to deliver some real value on its great navigation platform, competing in that tightly focussed space for navigation? But maybe Lezyne might suddenly face a challenge from Garmin in the MTB space? Even though I use a Lezyne from time-to-time for trail rides, Lezyne watches are well-used by the more serious MTB crowd. Garmin could suddenly take that crowd more seriously themselves. This is entirely analogous to the above example of the Garmin Instinct taking on the outdoors Casio watch. Garmin to make a MTB-specific bike computer? Lots of people like to run with music but I sometimes can’t help but think that the market for a necessarily wireless link to earbuds from a wrist-based sports watch might just not be as big as some people think (although it is big). Still, it’s good that we are just starting to see Garmin being amongst the first to support multiple streaming services on their device. #ConsumerChoice. This support for multiple streaming services AND to support live streaming over a watch’s inbuilt cellular conenction (AW4) are trends that will continue in 2019. Firstbeat is the obvious, branded name in this space and they have done a great job as being a badge of honour on many a new device. They’ve done an even better job getting that badge on EVERY SINGLE new, half-decent Garmin! But Firstbeat comes at a cost. Even though they protect their algorithms, some of the algos are not so hard to figure out and we have seen COROS develop some identically sounding names for some of their physiology algorithms for the just-released Apex. More will come from COROS. Although I’m not sure if Firstbeat will see the rise of a direct competitor like themselves or, instead, just many home-grown physiological features from within the watch companies. ie COROS have partnered with a 3rd party company who develops Firstbeat-like algorithms for them. Watch out Firstbeat. Polar could learn a trick or two here with their sporting prowess and monetize their (also great) algorithms through some kind of licensing model. “Powered by Polar” sounds good to me. People want accuracy. You want accuracy. I want accuracy. But if we had “accuracy” would we EVER notice those less than accurate moments? Probably not. There really are a lot of people who want accurate sensors on their sports devices: GPS/GNSS, oHR, power, altimetry. If people NEED stuff or really WANT stuff then a clever company gives it to them…for a price. Galileo (GNSS) seems to now be turned on in the USA and should come fully on stream in 2020. Some people seemed to notice an improved accuracy with Galileo on Garmin watches in the USA even before it was officially “turned on” …hmmm. Accurate motion sensors have brought us the sporting beauty of STRYD’s running pace accuracy. But motion sensors can even be used to give your watch some knowledge of it you are moving and if the watch is moving in the same direction – thus compass and directional functionalities can be tweaked. Batteries are getting better. Battery-saving technologies are getting better too, through more clever sensor-enablement or through sensors with less of an inbuilt hunger for the juice that powers them. Someone, somewhere will have already patented and started producing that next super-clever sensor thing. 2019 might let us see it. First up. This isn’t going to happen. Second up. Nope. Still not happening. With the impending arrival of power meters as part of higher end groupsets on new bikes then I suspect there is a shakeup coming in the power meter market where some of the more well-known names are struggling even now. With the ‘writing on the wall’, might that make Wahoo unwilling to invest its recent VC injection in a speculative acquisition in an uncertain market? But on the other hand what have Favero got? A nice cash-cow that probably generates a great return but a product which sits alone in its portfolio of other, quite different, products. They must have an incentive to sell?…if the price is right. Predictions of doom are always easy but it remains hard for companies to exist forever. Name one that has? Even the Great East India Company has long since had its day. Remember IBM too? A somewhat depressingly negative thought is that most of the current ‘not huge’ brands will probably not exist in 15 years time. But how many of them will be bought out or close in 2019? Fitbit has its issues but looks alright for now. But I would imagine that big name restructuring in the UK, like Evans Cycles selling to Sports Direct (who also own SweatShop), is a taste of things to come in the two wheels or two feet market. I know a few things that are best kept quiet for now, I would love to see my favourite brands and even my not-sot-favourite brands still be around in a year’s time just to keep the competition UP and the prices as under control as possible for all of us. The problem is that you guys are all shopping around for the absolute lowest price from what is essentially an array of commodity products – you just know you will get the same product whether or not you buy it from Amazon or your LBS. Ultimately our actions are making the continued dominance of Garmin more likely – the smaller comapnies find it hard to deliver consistent profits. Just as existing companies will come and go; Kickstarter companies will ‘go’ and yet ‘never have quite got there in the first place’. Some of these are just inventing a product where the market isn’t there eg Running Efficiency insoles – I’ve seen two near identical products which both failed identically. Strange that. RunScribe will hopefully stick it out as their product is well-integrated into Garmin’s CIQ and do not pose much of a threat to Garmin sales. I’d almost go as far as saying that the ONLY technical integration strategy that might work for a niche product is to keep your new product going for long enough by aligning your product with Garmin’s CIQ. Then somehow piggyback on Garmin’s large market shares of relatively affluent owners. The CdA guys seem to have got that, perhaps also the HeadsUpDisplay guys. The problem with doing that is Garmin will then know EXACTLY what the size of the market is from CIQ downloads and whether or not it is worth their while to plunder that market and, of course, your competitors will be following exatly the same strategy. Maybe my excitement will, as ever, come from speculating on what will be on the Garmin Fenix 6 /945. If you like this sort of content then please support this blog by either becoming a supporter (and get no ads!) or clicking on the following image before you buy anything from your local Amazon. If you want to buy the socks, they’re actually pretty good glove-like socks to prevent blisters if you run more than 10 miles at a time. Best Amazon price is linked to. Prices stable at £10/$12/Eu13. Buying from Amazon supports this site. 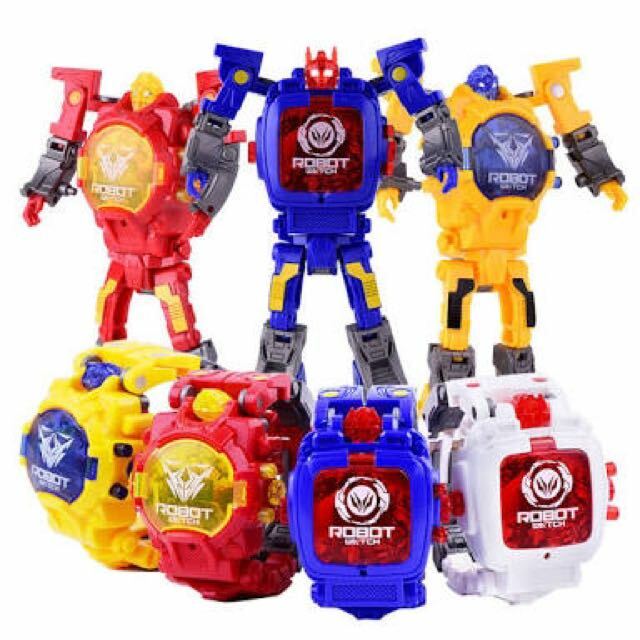 All I know is if the next generation of watches doesn’t spring a robot from it like a Transformer I’m going to be disappointed.